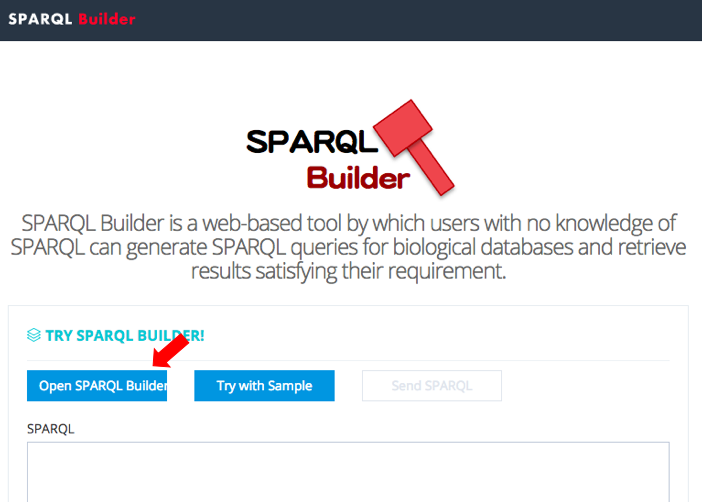 Start a SPARQL Builder GUI by the “Open SPARQLBuilder” button. 2. 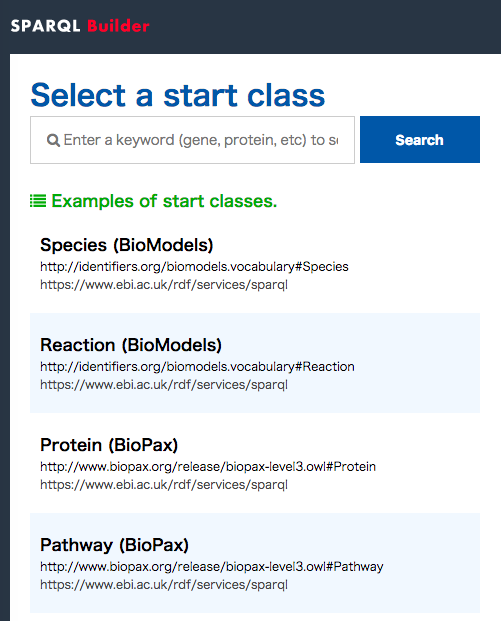 Search candidates of a start class by entering a keyword and select one class. 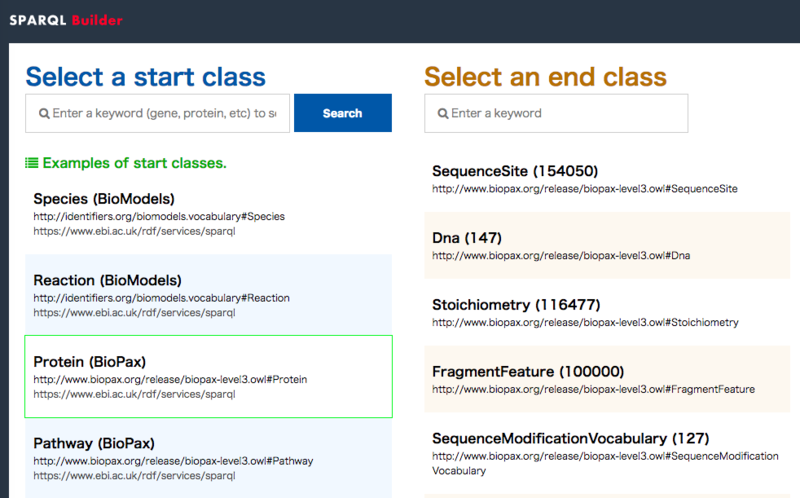 You can select from examples of classes. 3. If you select a start class, classes that have paths from the start class are listed as candidates of an end class. Select an end class. 4. Possible paths between the start and the end class are listed. Select a path. 5. 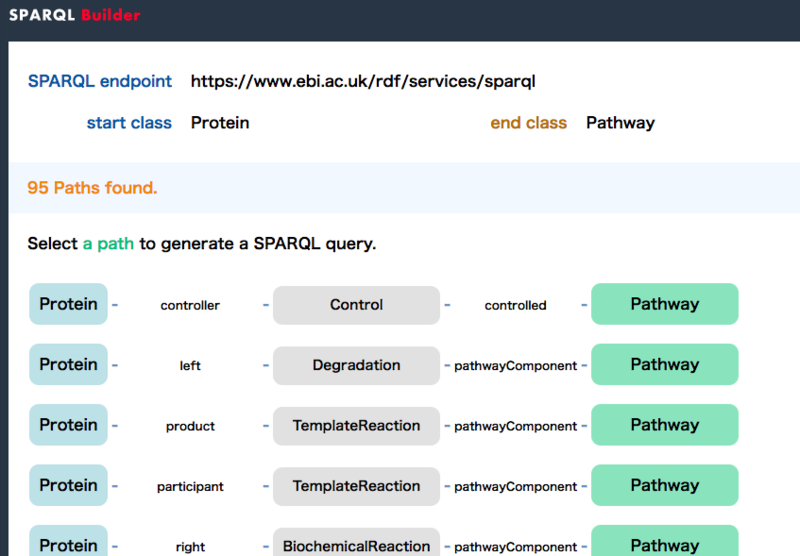 The SPARQL query for the selected path is displayed. 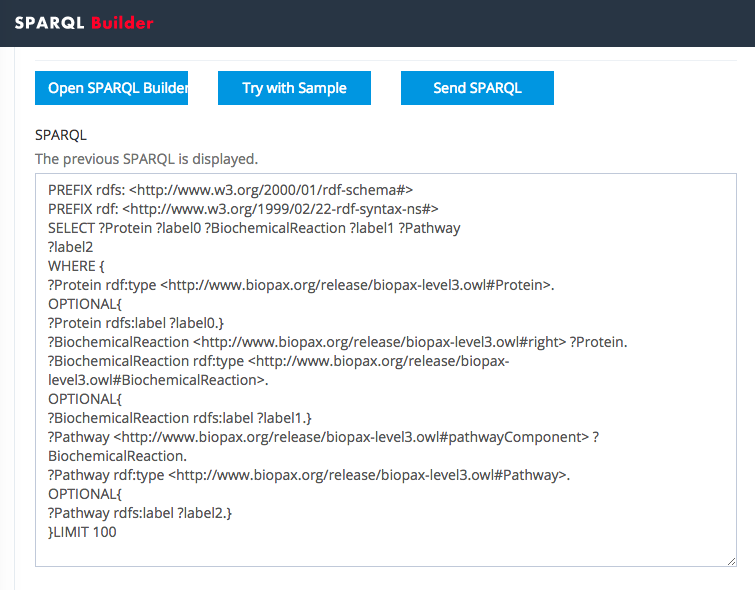 You can improve the query if you have some knowledge of SPARQL. If you click the “Send SPARQL” button, the query will send to the SPARQL endpoint and you can obtain the result.